Tesla and Audi are teaming up with AT&T to provide internet connectivity in their cars. The next generation of Audi and Telsa automobiles are about to become more like smartphones on wheels thanks to AT&T. The announcements made by both car manufacturers Tuesday at the Consumer Electronics Show in Las Vegas follow a similar deal made last year with GM (GM)'s Chevrolet brand. The concept is referred to as the "connected car." AT&T's head of emerging devices, Glenn Lurie, told CNNMoney these advancements reflect a major step forward in converting cars from mindless machines to intelligent gadgets. "The car is really just going to become another device in your life," Lurie said. "Our view at AT&T (T) is that everything is going to be connected... making the car easier to use, safer, reduce distracted driving and deliver infotainment." Audi's 2015 lineup of A3s and all Tesla (TSLA) models will soon be connected to AT&T's wireless network, the same one currently used by phones, tablets and computers. 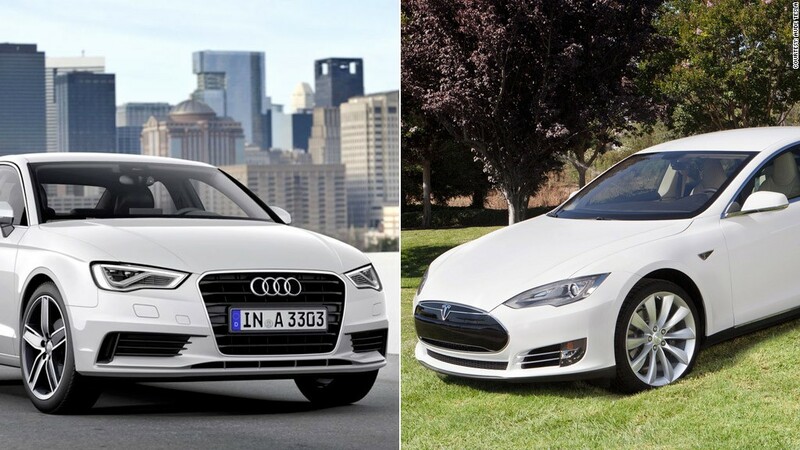 Audis will be on 4G LTE, while Teslas will operate on 3G. Audi sedans will feature displayed navigation, connect to 7,000-plus Internet radio stations and will read things like news headlines, Facebook posts and Tweets aloud. Passengers will also be able to connect to the car's WiFi and be able to stream high-definition video on up to eight devices. Meanwhile, all current and future Tesla models will use AT&T to power engine diagnostics and web browsing -- with innumerable radio options, navigation and anything else you can find online. All will be accessible via the car's 17-inch touchscreen. In some ways, that runs counter to a nationwide campaign by the U.S. Department of Transportation to reduce distracted driving. Currently, 41 states ban text messaging by drivers, and 12 states prohibit all handheld cell phone use. The reason: Distracted driving claims 3,000-plus lives a year, about 10% of all motor vehicle deaths, according DOT statistics. DOT was not immediately available for comment. But Lurie said the company will limit visual distractions to passengers. Drivers can keep eyes on the road and both hands on the wheel because they need only use their voice to send messages and communicate with the car. And dashboard screens will serve to help drivers navigate without having to hold their smartphone in one hand while steering with the other. Lurie also views the wireless network as a step closer to the long-anticipated driverless car. "If there ever is a fully autonomous car, it'll have to be connected. It's absolutely paramount," he said. But besides the distracted driving issue, there are also serious security concerns. Anything connected to the Internet can be attacked by hackers. Breaking into your computer or smartphone might crash your device or expose you to identity theft. But malware in a car traveling 70 miles per hour could be fatal -- especially if the software connects to key features such as the engine, steering, accelerator and brakes. 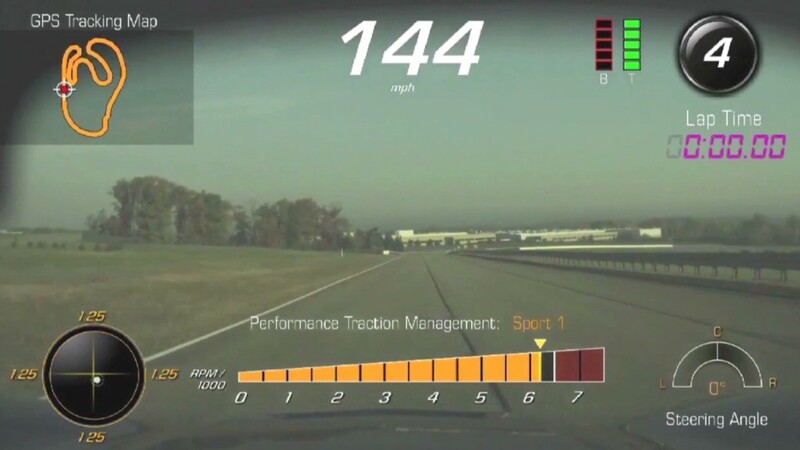 It all depends on whether a car's wireless-connected computer is also wired to the car's essential functions, according to Nick Percoco, an information protection consultant with KPMG. Drivers could be duped into clicking on a bad link that pulls malware into a car's electronics. But maintaining two completely separate computers -- one connected to the Internet and the other for critical car systems -- could prevent a hacker from going too far. "It's not impossible or science fiction to think that someone can access a network," said Percoco, who expects security consultants will find weaknesses in these car systems within the first few months of their public debut. Lurie said AT&T remains responsible for keeping its network safe. It'll be up to the car manufacturers to build their vehicles with resistance to computer viruses and backdoor hacks. Tesla wasn't immediately available to comment about the security concerns. Audi plans to prevent hacker hijacking by maintaining its cars' two computers separate -- one for key functions, and the other connected to the Internet. Also, all communication between peoples' Audis and the company's computer servers in Germany will be encrypted. As an added privacy feature, all navigation requests using Google Earth will be masked so that companies can track the car -- but not who owns it.